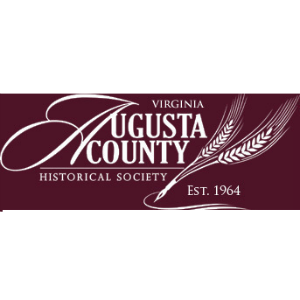 Jeff Evans, nationally known expert in 18th & 19th century furniture and domestic arts, will describe the role of early Shenandoah Valley craftsmen in building the area’s rich art and crafts culture in a presentation at the Augusta County Historical Society’s annual fall meeting 3 p.m. Sunday, November 6. The program, which will follow a brief ACHS business meeting, is free and open to the public. The event will be held at the Augusta County Government Center. Refreshments will be offered after the program. Evans is President, Principal Auctioneer and Specialist at Jeffrey S. Evans & Associates in Mt. Crawford, Virginia. He has served on the Harrisonburg-Rockingham Historical Society board for 15 years and has published numerous articles, and co-authored a book on Rockingham County pottery. In his presentation, Evans will include new scholarship and research focusing on 19th century cabinetmakers and potters. Evans is a nationally recognized expert in early American glass and 18th and 19th century Shenandoah Valley furniture and decorative arts. He has lectured at Colonial Williamsburg, the Museum of Early Southern Decorative Arts, the Museum of the Shenandoah Valley, Winterthur Museum and Corning Museum of Glass. He has also provided curatorial guidance at many major institutions.